There is a show on the Discovery Channel called Destroyed In Seconds. Essentially, the program shows video footage of disasters that seem to have come out of nowhere. In one episode, the viewers could enjoy a helicopter crash that happened with shocking rapidity. In another episode, a speed boater loses control of his craft and in an instant is gone. In medicine, good relationships can evaporate in seconds as well and we seldom see it coming. In this first episode of "Destroyed in Seconds: Urology Edition" I am going to present some instances where a perfectly good doctor-patient relationship can get "destroyed in seconds." A previously passive patient receives an unexpected bill and calls the office ranting and raving about it: relationship destroyed in seconds. A patient receives an unexpected phone call regarding the need for additional pre-surgical testing and is inconvenienced. His frustration and vehemence gets turned upon staff and you and the relationship is destroyed in seconds. A patient being followed for rising PSAs is told by a "friend" that he should have been biopsied and he accuses you of negligence: relationship destroyed in seconds. Above patient has biopsy done by you and is negative for cancer: relationship restored in seconds. Above patient has terrible complication from above biopsy that you initially advised against and relationship destroyed in seconds. Medicine is a crazy business. We walk a fine line between hero and goat. And any doctor patient relationship can be "Destroyed in Seconds." (Disclaimer: the above examples are fictitious and do not represent actual encounters. Any similarities are purely coincidental." Sometimes the group thing just does not work out and people find themselves with no other option than going solo. Follow these essential rules and you'll land on your feet. Determine your short term intermediate, and long term goals and list in backwards order how you plan to attain each of them. Leave your old practice on good terms, this will only serve to help you in the future and trust me, you WILL need them in the future. Develop a plan to attract your old patients, so long as it does not ruin your relationship with the old office, and separate plan to attract new patients. Organize all credentialing material and higher someone, even per diem, to assist you with credentialing. Look for an office or sublease on a temporary basis. Go electronic, even a web-based ASP model for an EMR and PM/scheduling system. Get a website, just don't pay a lot for it. Get a blog and start posting to it. Get a phone and answer it 24/7. If you follow these 10 steps, you'll be up and running in no time flat. In this day and age, every dollar matters. While I find that 99% of people pay their copays without problem or complaint, 1% will ask for it to be waived. We simply direct them to sign above and that answers their questions succinctly, forcefully, yet with some humor. I did a vasectomy today on a plumber from Long Island. Like Joe, the plumber from last night's presidential debate, this plumber is in business for himself. As I was performing the vasectomy on my patient, I was talking to him about his business. Here's what I learned from my "Joe the plumber." Plumbers are not licensed by the state but by the town in which they do business. Each town in which the plumber works requires the plumber who owns the business to be licensed. Each town in which the plumber does work requires the plumber to be insured. Plumbers in Long Island must carry 1 million dollar policies per occurrence. Most towns require the plumbers to carry an additional million dollar policy in order to get a permit for any specific job. This extra-policy protects the town in case a civil action is brought upon the plumber and threatens the town as well. In Long Island, the plumber's first insurance layer--the initial 1 million--costs $12,000 per year. The second layer--the one each town needs--can add as much as $7500 per year onto the plumber's yearly overhead. Thus on Long Island plumbers pay $19,500 per year in liability insurance. Urologists in Long Island pay as little between $22,000 and $57,000 depending on the policy type and the urologist's loss history. Plumbers must pay workers compensation and unemployment insurance as well. If the plumber has employees, they may wish to carry employer liability insurance as well, which covers for things such as harassment law suites and wrongful termination suits. This costs ~$2500 per year. Some plumbers are in business for themselves yet contract with larger, national companies, so that they can get more business. The national companies take hefty commissions from the local plumbers who actually do the jobs. Some plumbers are W-2 employees of these larger companies and are paid salaries, yet they must still carry and pay for their own liability insurance. When a plumber's work results in a person's bodily injury, law enforcement typically investigates the incident and files criminal charges. In Long Island, a plumber who offers health insurance to his employees shells out $12,000 per year for family coverage, $6000 per year for single coverage and is often forced to pass an increasing percentage of this cost onto the employees. On Long Island, the plumber must bring in at least $1000 per day in revenue to survive. Now Rich the Urologist. My overhead is similar to Joe's in all respects yet I think I have a higher earning potential. In addition, my licensing requirements are statewide rather than town by town. Like Joe and his town permit requirements, each hospital in which I work requires that I carry $1 million of insurance and be credentialed, yet they don't (yet) make me purchase additional insurance per procedure or admission. Like Joe, I can either be an employee or self employed and can contract with larger corporations for an increase in business. Like the plumber, contracting with these companies (insurers) comes at a price. That's it. Joe's got it rough, even rougher than Rich the Urologist. How it Works: Getting Paid That Is. When you go to a restaurant, you order the food, eat, the bill comes, and you pay for the meal either with cash or credit card. If you use an accountant, they do their work, send you a bill, and you send them a check. If you purchase a sweater on-line, you supply the merchant with your credit card or paypal information, hit submit, and then the merchant processes the order. In general, the process is pretty straightforward and transparent. In most medical practices, the process is much more complex, less transparent, and more open to error. In medical practice, from the instant a patient calls to make an appointment, a cascade of events gets initiated that results several weeks to several months later in a payment into your bank account. Claim is edited either manually or via PM program to make sure that all demographics are correct, NPIs are correct, PTANS of present, if needed, and ICD9 and CPTs match, and more. Clearinghouse adjuticates claims (further processing for all above) and then either rejects claim or forwards it onto the pertinent insurance company either electronically or on paper. Insurance companies review claims and either: authorizes claim "as is" and remits check for contracted amount, down codes encounter and remits check for lesser amount, or does nothing (which then requires you to track down the claim). Payment comes in the form of an EOB, or explanantion of benefits and a check. Checks can either be attached to the EOB (paper) or issued via ETF (electronic transfer of funds). Check amount must be verifed against EOB. Practice can then either accept payment "as is" or re-submit claim with a dispute. And that is for a simple office visit. The process varies a bit for things like hospital consults and procedures or for procedures performed in any out-of-office setting. In addition, each payer and each plan, within the plan, within the plan, has slightly different rules, policies, and procedures, and these can muck up the reimbursement's timeliness and accuracy for the doctor. And what about copays? I have not even dealt much with this easiest part of the whole thing, that is the copay. Some people have them and some don't. Some plans have a flat copay amount for all visits, while others have different amounts depending on the type of visit, e.g. primary care, specialist, ER, hospital, lab, etc. To make everything even more complex, not all ID cards indicate the copay that fits the particular situation. In this last instance, the only way to know the copay amount is get it off the EOB in the box that reads "patient responsibility." Then you must, contractually, go after the patient. Going after the patient, for even as little as $3, is not always easy. Even though the majority just pay with no fuss, some patients get very upset at receiving a bill for any amount. For all patients, the practice must send statements, ie bills, and this costs 41 cents, plus envelope, per bill plus staff time for each patient per statement period. When the patients return their payments, the cycle is complete. . .unless they have secondary insurance. And that is a whole other discussion. It used to be that doctors socialized with each other. This is no longer the case. The practice of medicine and its economic realities have made it difficult for doctors in a community to get to know one another and become friends. In the recent past, circa 1990's and before, one could go into the doctor's lounge and immediately find colleagues, engage them in debate or small talk, or even hold an impromptu journal club about someting innane written in the NEJM. Specialists could put names to faces of their primaries, and vice-versa. If a physician needed a quick consult or simply a pep talk, he could find it in the lounge. Until recently, the hospital itself served as the hub of all social activity amongst physicians. The yearly hospital galas in those days were part prom for the doctors and their wives and part fundraiser for the hospital and its board. Though these galas still exist, doctors can no longer afford the $500 per person ticket price for admission and few attend. I have been to one or two of these myself--on someone else's dime--and I was amazed at how few doctors were in attendance. 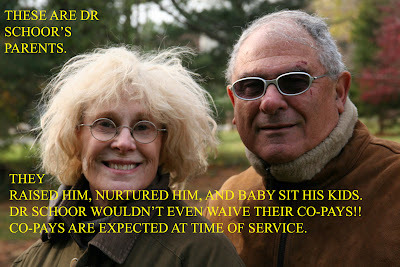 Not so long ago, outside the hospital doctors would socialize with each other at the local country club or tennis club. Their wives would become friends and so would their kids. It was nice time; a time that I only glimpsed from the outside during my medical school days and that subsequently vanished while I was still in training. No doubt due to abuses to the system during a bygone era, the pendulum has swung way over to the other side with PHARMA having eliminated the only remaining locally held social activities available to the community doctor; the drug dinner and the sponsored grand rounds. The demise of this important social network has had some profound implications for the business side of medicine, some for its betterment and some for its detriment. I suppose that a strong social network prevented the development of Medicare until 1965 and I can almost see doctors in the lounge working each other up to a tizzy about the "red evil" that was coming in the form of socialized medicine. On the other hand, the network probably served as a catalyst for doctors' acceptance of commerical payers, especially as their colleagues, one by one, signed onto the plans. On a more personal note, it has become difficult, to say the least, for young doctors to meet other young doctors and establish new lines of referral and make friends. Since networking goes hand-in-hand with business development and practice building, the absence of this network system makes it more challenging to grow a practice. On the flip side, with few in-roads available for networking, well thought out and skillfully excersised networking tactics can produce significant positive results. Networking still exists and is as important as ever, but it is no longer conducted as much in the physical world as in the virtual one. Your trick, as a solo doc, is to find a way to use the virtual network community to augment your own local, personal network group. It can be done. Just ask some of the people who have done it.